Winter time calls for the perfect cup of hot chocolate to warm you to your core, and in true Cape Town fashion the city’s cafés offer up everything from over-the-top to super healthy. 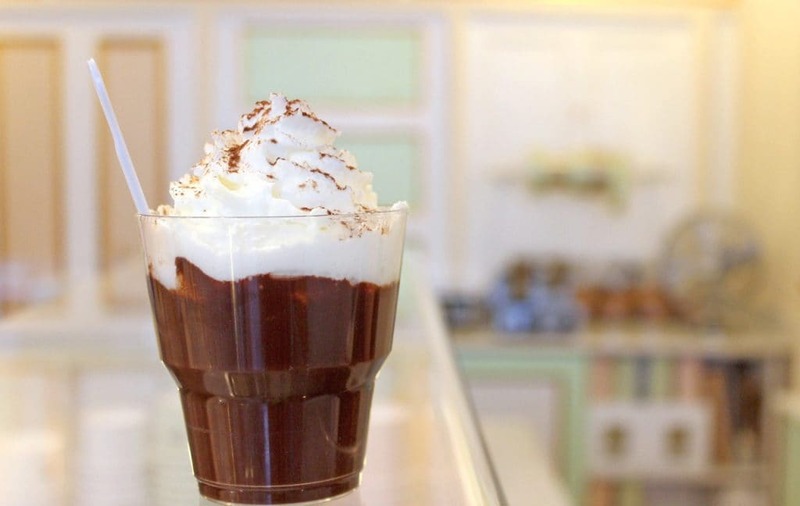 Here’s out roundup of the best winter warming hot chocs in Cape Town this winter. This chocolate nook in Cape Town is where you’ll find some of the finest chocolate made with ethically sourced ingredients and raw cacao. Naturally, their hot chocolate is quite something. It’s bound to make any chocolate lover’s heart beat a little faster. Their café on Wale Street in the CBD has a trendy and cosy vibe, and you’ll find many other treats to sample once you’re there. The authentic Italian Gelato specialists in Cape Town don’t only serve up the best gelato outside Italy in the Mother City, They also give us a silver lining to gloomy weather. Their extra thick and chocolatey hot chocolate is so sturdy it’s served with a spoon. The mug is topped with homemade whipped cream and it’s guaranteed to make you feel a little Italian and a whole lot warmer. It’s available from their picture-perfect Long Street store as well as their stall at the Oranjezicht City Farm Market. On the slopes of the lovely suburb of Vredehoek, you can enjoy a decadent Nutella hot chocolate at Deer Park Café while overlooking the buzzing city. For a double dose of chocolatey indulgence try it with a slice of their dark chocolate cake soaked in brandy syrup and topped with chocolate-caramel ganache or a slice of their dense carrot and pecan nut cake with lemon cream-cheese frosting. Cape Town’s much-loved coffee empire has introduced a new delicious coconut hot chocolate that will certainly hit the spot this winter. It’s made with coconut milk and raw cacao, so it’s entirely vegan. It’s also light so you can still get a coffee or a snack to go with it. You can also try their turmeric, beetroot, and cocoa flat whites. They’re as beautiful as they are tasty. The Franschhoek and Spice Route chocolatiers at De Villiers Chocolate keep their drinking chocolate churning year-round, so you can pop by anytime for a cup of regular or spiced drinking chocolate, a Mocha (the perfect coffee and drinking chocolate fusion), or an iced chocolate. It’s extremely good and chocolatey. The best part? You can purchase a bag of their drinking chocolate mix to take home to secure your place as the most-loved member of your family for the winter. The Winelands gem, Big Dog Café, can serve you caffeine in more than fifteen ways. 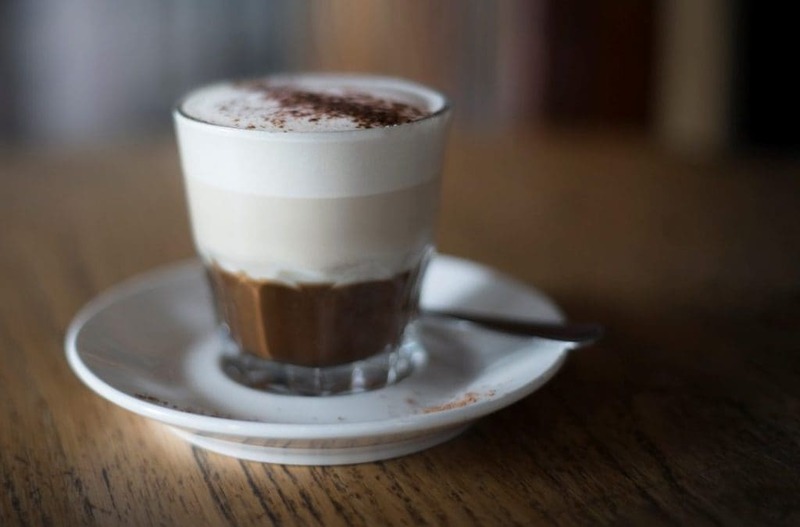 These include the usual Americanos and lattes made with their Terbodore blend of the day as well as dirty chai lattes, coffee milkshakes and affogatos (coffee poured over their house-made tonka-bean ice cream). For the chocolate lovers, they have a dark as well as a white hot chocolate. For an extra special occasion (or a blue Monday) try their chocolate affogato made with double espresso poured onto a tempered chocolate disk perfectly paired with their house-made tonka bean ice cream.